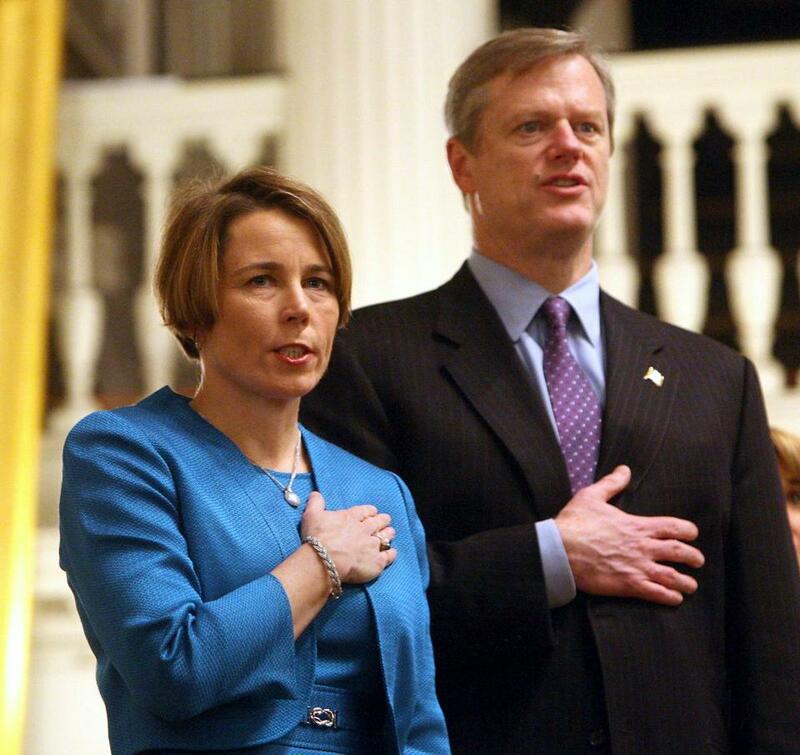 Governor Charlie Baker (right) and Attorney General Maura Healey find themselves on different sides of this issue. Governor Charlie Baker’s administration said Tuesday that Attorney General Maura Healey’s new crackdown on the sale of so-called “copycat” assault weapons is so unclear that it might inadvertently prohibit many more guns, including pistols, that have long been legal in Massachusetts. In a letter that emphasized support for the state’s longstanding ban on assault weapons, Baker, a Republican, said the “ambiguities” in Healey’s legal notice urgently demand further explanation. Daniel Bennett, secretary of the Executive Office of Public Safety and Security, wrote in a companion letter that Healey’s action had created such uncertainty that people across the state might not be able to figure out which guns are legal and which are not. “Depending on how your office is interpreting the two-part test you have articulated for determining whether something is a ‘copy or duplicate’ of a listed assault weapon, a large number of firearms, including pistols that have been sold here legally for decades, may be unintentionally affected,” Bennett wrote. Healey, in an announcement last week, said she was acting to seal a gap in Massachusetts’ assault weapons ban. The Democrat said that “loophole,” for years, has allowed gun manufacturers and stores to produce and sell guns that are functionally identical to assault weapons, but with small tweaks that allowed them to be marketed as legal in the state. Mass. gun dealers sold more than 2,000 military-style rifles on Wednesday – nearly one quarter of the total sold all of last year. Her office laid out two tests to determine if certain guns are prohibited duplicate assault weapons. If “its internal functional components are substantially similar in construction and configuration” to an assault weapon; or if its receiver is the same or interchangeable with the key operating components of an assault weapon, it’s a banned gun. The top spokeswoman for the attorney general said the letters were unexpected. “Given the previous discussions and briefings we had with the administration, it was surprising to receive this letter,” said communications director Cyndi Roy Gonzalez. The state assault weapons ban prohibits a list of specific guns, such as all models of AKs, including AK-47s. It also prohibits semiautomatic rifles that can take a detachable magazine and have at least two other specific gun features, like a grenade launcher or flash suppressor. And, importantly, the ban prohibits copies and duplicates of assault weapons. But, for years, the state has interpreted that provision to allow the sale of firearms that Healey now says are banned weapons. That’s part of the reason advocates for gun rights have been crying foul about Healey’s enforcement notice, and why a bipartisan group of more than 50 legislators sent Healey a letter over the weekend strongly opposing her new push. Activists also protested at the State House over the weekend. “Everybody — for 20-something years — was working on the same page. And now the attorney general wakes up one day and says, ‘No, we intended to ban all these other guns too!’ ” said Jim Wallace, executive director of Gun Owners’ Action League of Massachusetts. “This was a political stunt that left the state in absolute chaos and, lo and behold, at the Democratic National Convention she holds a press conference trumpeting her action,” Wallace said, referring to an event Healey attended in Philadelphia, which is hosting the party’s quadrennial confab. “She basically threw a political bomb at the Commonwealth — and then left the state!” he said. Wallace added he is happy Baker is “getting on the playing field now,” taking issue with the alleged ambiguity in the attorney general’s directive. Last week, several top law enforcement officials expressed support for Healey’s action. On Tuesday, the Globe asked Suffolk District Attorney Daniel F. Conley about the Baker administration letters and whether he believes the attorney general’s action is workable. Conley spokesman Jake Wark said in the week since Healey took action, the office hasn’t seen a single case of an otherwise law-abiding person in court in a gun charge related to copies, duplicates or similarities. The state saw a sharp shift in the sales of firearms as Healey’s directive became public and effective on July 20. 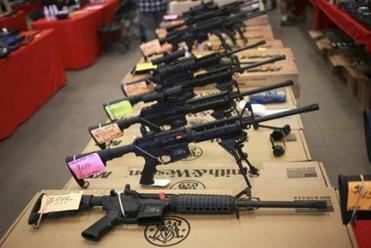 According to the state’s Firearms Records Bureau, 51 rifles were sold on July 18; 132 on July 19; 2,549 on July 20; 266 on July 21; and 139 on July 22. Michael Levenson of the Globe staff and material from the State House News Service contributed to this report. Joshua Miller can be reached at joshua.miller@globe.com. Follow him on Twitter @jm_bos. Click here to subscribe to his weekday e-mail update on politics.